Montego Bay with its palm-tree lined beaches, endless stretches of sand and clear blue waters is perhaps the quintessential Caribbean resort, delighting visitors for generations. With a series of luxury hotels set back from the beaches, offering waiter-served cocktails, Montego Bay is an absolute slice of paradise. If you’re gazing at the glossy cover of a Caribbean travel brochure, there’s a decent chance you’re looking at Montego Bay – a picture of laid-back perfection. And, if your upcoming cruise has got a planned stop in Montego Bay, then we could not blame you at all if you wished to spend your entire stay there on your carefully-positioned beach towel, taking in the rays of the sun and occasionally dipping your toes in the azure waters which surround the Jamaican resort. However, head inland a little and there’s a wealth of other experiences to enjoy and beautiful places to explore. So, to help you dig a little deeper into what makes Montego Bay and the surrounding area so special, we have compiled a list of our favourite things to do when your liner docks in this Jamaican port. These are the top seven things to do in Montego Bay. More than 35 years since his untimely death, Bob Marley is still a huge influence and figurehead in Jamaica. His music and humanitarian spirit continues to inspire generation after generation of young Jamaicans, and his likeness can be spotted almost everywhere. Like Elvis fans taking the pilgrimage to Graceland, many visitors to Jamaica make the trek to Marley’s home village of Nine Mile. This small village is less than two hour’s drive from Montego Bay, and tour groups regularly make the journey. This humble little village has escaped the trappings of becoming a tourist town, offering a more authentic insight into the early life of Marley. Notable highlights in the village include the Rasta-coloured ‘rock pillow’ where the great reggae artist would lay his head when seeking inspiration. Nine Mile is also home to the mausoleum entombing the bodies of Bob Marley and his mother. The mausoleum is located in the small Bob Marley Church and can be toured by visitors. Head east across the north coast of Jamaica and you’ll find yourself in Ocho Rios, home to Dunn’s River Falls, one of the world’s most beautiful and popular waterfalls. So much more than just a photo opportunity, visitors are given the chance to climb up the stepped waterfalls. With crisp water rushing around your feet, and lush vegetation surrounding your path; the route up the waterfalls is beautiful and unforgettable. For those who don’t fancy getting their toes wet, there’s a stairway to the side of the falls offering an alternative route to the summit. The waterfall has been used as a scene in many films and television specials, most notably Dr. No. 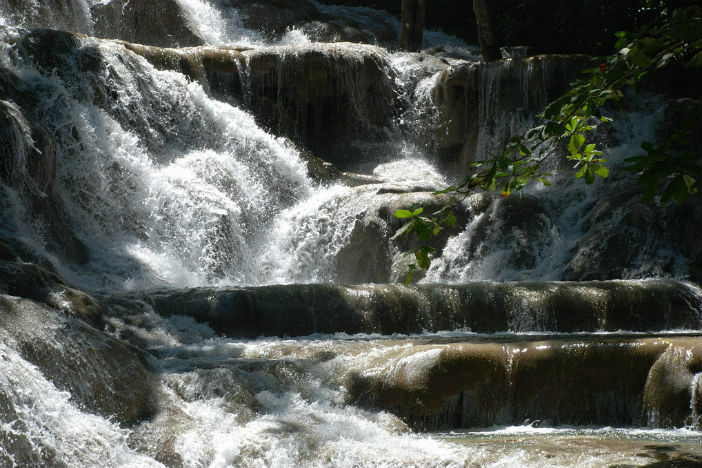 So be sure to practice your best Sean Connery impression on the way to Dunn’s River Falls, and you can re-enact Bond’s famous scene in the waters with Honey Ryder. Sitting pretty in the rolling countryside of Jamaica’s Rose Hall Estate, the White Witch Golf Course is amongst the world’s most beautiful settings for a round of 18. Immaculately manicured and designed by renowned golf course duo, Robert von Hagge and Rick Baril, the par 71 course provides the perfect setting for a relaxing round. With the gentle island breeze blowing in your hair, you’d be advised to take your time around this course which throws up a few surprises. Set on multiple levels, the elevation changes of the holes can be a little tricky for those teeing off for the first time. The course also offers a comprehensive caddie programme, so you’ll have a wealth of experience to rely on when approaching a tricky fairway. And of course, no round of golf is complete without a crisp island beer at the 19th. Montego Bay has a proud reputation as the best snorkelling site in Jamaica, offering divers the chance to explore an amazing marine world not far from the surface of the sea. Beautiful corals and reef systems are home to an amazing array of marine life, including bar jacks, blue and brown chromis, yellow-headed wrasses, and spotlight parrotfish. If you’re an experienced snorkeler, there are plenty of places to dive in from, including the wonderful Doctor’s Cave (more about that later). Or, if you require a helping hand, a little guidance or just extra confidence, there’s a huge number of local snorkelling schools which will take you under the surface of the water. A brilliantly authentic Jamaican experience, take to the simple bamboo rafts and slowly meander down the Martha Brae River. With room for two people, your comfortable raft will carry you down a set course on the river, in authentic Jamaican style. Beautiful scenery flanks either side of the river, providing the perfect place to relax and drink in the natural wonder of Jamaica. 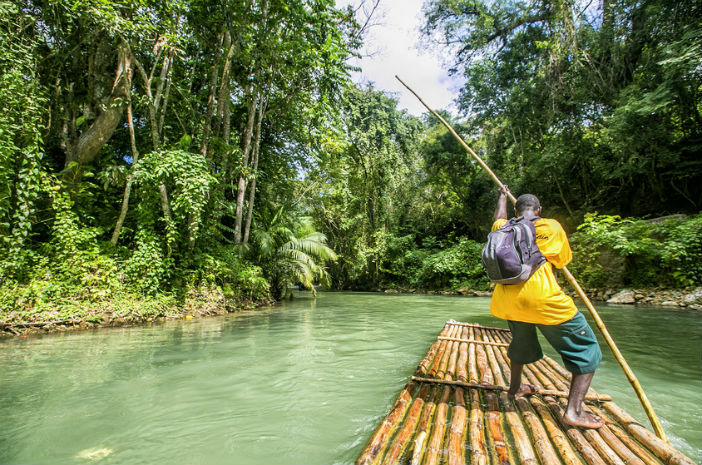 River rafting is a popular pursuit in Jamaica, and this is one of the best-loved routes. Starting in Rafter’s Village, you’ll board one of the thirty-foot long bamboo rafts under the supervision of a pro, and then you’ll be set off on your journey which takes roughly one hour to complete the three-mile course. The conclusion of the route is Martha’s Rest, where you can choose to learn about the legend of Martha Brae, or simply take to the waters and enjoy a swim. If you’re lucky enough to be staying in Montego Bay overnight, you’ll undoubtedly be planning where to take in one of the island’s famous sunset scenes. We’d recommend heading over to Doctor’s Cave to watch the sun go down. With the sun setting out over the sea, creating beautiful palm tree silhouettes in the foreground, Doctor’s Cave is the perfect place to bring a small picnic of nibbles and maybe a bottle of something fizzy. Check the evening’s sunset time, and plan the rest of your evening accordingly. Street food is really enjoying a renaissance all around the world, with excitement growing around authentic flavours and local recipes. But nowhere does beautiful street food quite like the island of Jamaica, where grabbing a quick snack on the go can slowly evolve into a multiple-hour event attended by the whole family, and the wider community. For a true taste of Jamaica, we’d recommend a trip to Pork Pit on Miranda Hill, where a constant jerk grill is kept alive to turn out delicious, fresh jerk chicken, pork and shrimp. The experienced chefs grill up juicy and succulent cuts of meat in front of you, and watching them skilfully manipulate the food is an experience in itself. Smoked over sweet wood and using recipes only known by the Pork Pit chefs, the meat takes on a unique, beautiful taste you won’t be able to forget. But just be careful of the hot sauces, the spicier bottles can really blow your socks off – so it’s probably wise to select one spice grade lower than your usual hot sauce request. 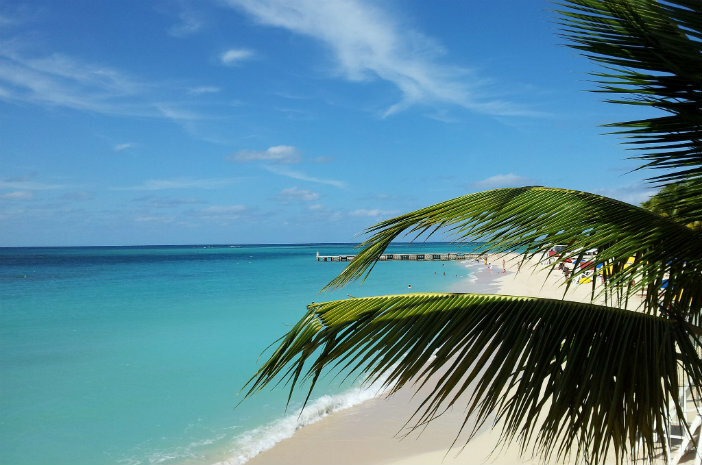 We have compiled a list of our favourite things to do when your liner docks in Montego Bay and its surroundings, enjoy.